Anton Devcich struck a destructive 92 not out to lead Toronto Nationals to opening day victory over Kamau Leverock’s Vancouver Knights by six-wickets in the inaugural Global T20 Canada at the Maple Leaf Cricket Club Ground. 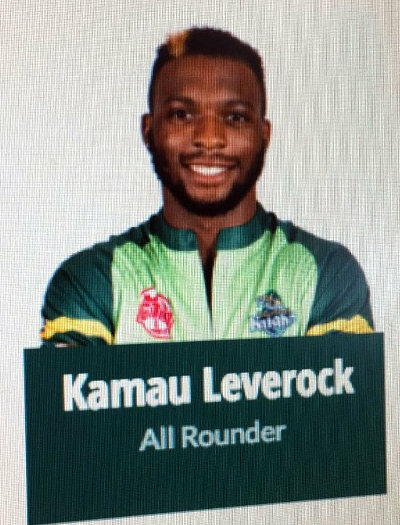 Leverock was not in the Vancouver Knights starting lineup. The two sides representing Canada’s most famous cities were led by former West Indies captains Daren Sammy and Chris Gayle and it was Sammy who won the toss and elected to first field on the small venue and pitch which neither side knew whether winning or losing toss had an added advantage. The Vancouver Knights batted first and scored 227/4, Evin Lewis was the top scorer with 96, while Andre Russell added 54 not out, Nikhil Dutta was the pick of the Toronto Nationals bowlers taking 2 wickets for 26 runs. In reply the Toronto Nationals would score 231/4, Anton Devcich led them to victory scoring 103 not out, Steve Smith added 61.